Remove and dispose of existing asphalt and or materials such as loam, sand, stone, roots, boulders. Set grades with laser level and install processed gravel as needed. Fine grade processed gravel and roll and compact area with vibratory roller. Install 2″ of Commercial 3/4″ asphalt binder. Roll and compact asphalt binder. Install 2″ of Class I 3/8″ asphalt surface or parking lot surface. Roll and compact asphalt surface. Asphalt compacts to 3″. Tamp seal edging. Do not park or drive on your driveway or lot for at least 3 days. 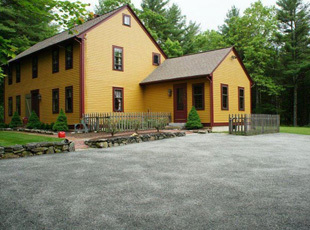 Seal coating is done to protect and maintain your driveway or parking lot. It shields from gas and oil spills, water penetration, and slow oxidation. It also makes for easy cleaning and maintenance. It is recommended after 24-36 months of new installation, as it will extend the life of your area. BEAUTIFY: Restore that “black as night” original look. PREVENT OXIDATION: Block out the damaging effects of the sun and ultraviolet rays. SPILL DAMAGE: Keep gasoline and oil spills from penetrating the surface. MAINTENANCE: Shield pavement against the elements that cause cracks and potholes. PRESERVE YOUR INVESTMENT: Make your property safer, cleaner, more attractive and longer-lasting. Unprotected pavement is damaged by environmental effects. Sunlight, moisture and gasoline leave surface gray, ope and porous. Moisture is allowed to penetrate. Hydraulic pressure and freeze-thaw increases the size of cracks. Aggregate washes away and cracks grow larger. Shields against the drying acton the sun and ultraviolet rays. Resists damage caused by gasoline and oil. Bonds firmly to the surface to provide an even-textured, durable barrier. 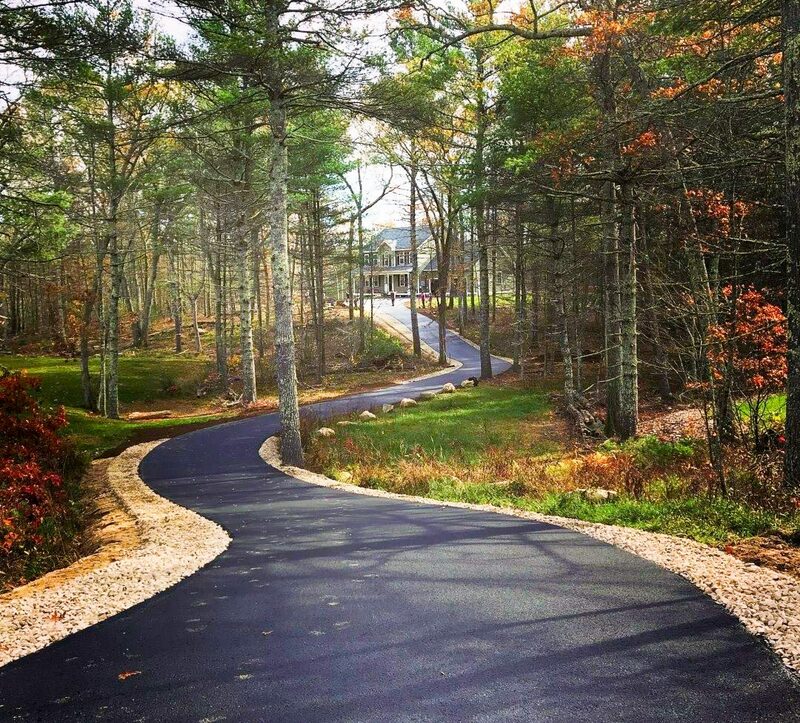 Restores that rich, black look of new pavement.